Republica A tree stands in middle of the Devahariaya to Behadababa road, in Kailali in this recent picture. The contractor blacktopped the road without removing the trees blaming the forest department for not approving it. 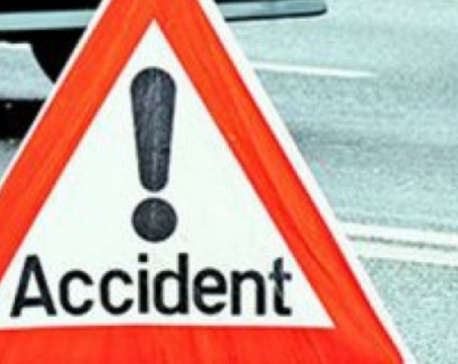 DHANGADI, Aug 14: Bhikhram Chaudhari of Pathari village lost his brother, Khushiram, 26, in a road accident last winter after the victim's motorbike hit at a tree in the middle of the road. He was returning home from Dhangadi, carrying fodder for chicks. "I lost my brother to this tree," said a sad Chaudhari, while pointing to the tree that is in the middle of the road. "There are many trees like this that are right in middle of the road. This is not development, this is gross negligence that is costing us lives of our loved ones," he said. Khushiram had succumbed to injuries while he was being rushed to Kohalpur Hospital. He met with the accident, even though he was aware of the trees. There are 31 trees in the middle of this blacktopped road, which connects Devahariaya to Behadababa of Dhangadi. Locals call this tree 'ambushes' and accuse the contractor, road department and the forest department of setting them to kill people that drive on the road. The contractor blacktopped the road but did not remove the trees from it citing lack of approval from the forest department. As a lawmaker, Pushkarnath Ojha had launched initiatives to build the road in his constituency three years ago. Subsequently the Rajendra Rudrawati JV was handed over the contract to construct the three and half kilometer road section. Mohan Panta, an engineer with the road division office said that the department of forest was requested to give permission to remove trees after the road construction tender was approved. However, the permission did not come through, even after the construction of the road was completed. There are 31 trees in the middle of this blacktopped road, which connects Devahariaya to Behadababa of Dhangadi. Locals call this tree 'ambushes' and accuse the contractor, road department and the forest department of setting them to kill people that drive on the road. "There were delays in getting the approval from the road department. But the lawmaker himself gave assurances that the trees would be removed. 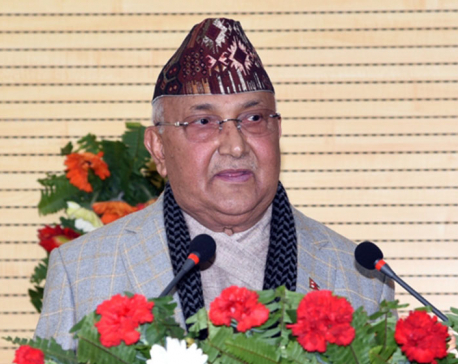 So we worked on blacktopping the road," Panta said. "However, even after the blacktopping is completed, the trees are yet to be removed," he added. Panta admitted that the trees are huge risk to public safety. “It is very risky to drive on the road, more so during the night,” he said. Apart from Khushiram, two more people have lost their life in the small road stretch. “Drivers don't expect to have trees right in middle of a blacktopped road and as such there can be accidents even though the drivers are not speeding,” Bhikaram said. Along with motorcycles, jeep, cars and even heavy vehicles have met with accidents on this road that has injured many drivers and passengers. Lal Bahadur Chaudhari is another of the victims. He lost his youngest son to one of the tree on the road. "This tree took my son my away. He was my youngest son and the only one who lived with me. Now I am bound to live alone," he lamented. His other son lives separately. The elderly man carefully looked at the tree and at the scratches that were visible on its barks. The scratches on its barks are evident of the fact that it is bruised every now and then by vehicles plying the road. "There are no trees on this road, which have not been hit. Just think how dangerous it is to ply this road," he said. Ramdin Chaudhari of Devahariya claimed that accidents are a daily affair on the road. Goods carrier, public vehicle, private vehicle, all meet with accidents on this road, he said. Locals are disgruntled with the road division and the forest department. In lack of coordination between them, they accuse both departments of ambushing people with the trees. "While blacktopping the road, they were supposed to sure that the trees are removed. The forest department does not care; the road department does not care. And we, the people, have to bear the cost," fumed Ramdin. 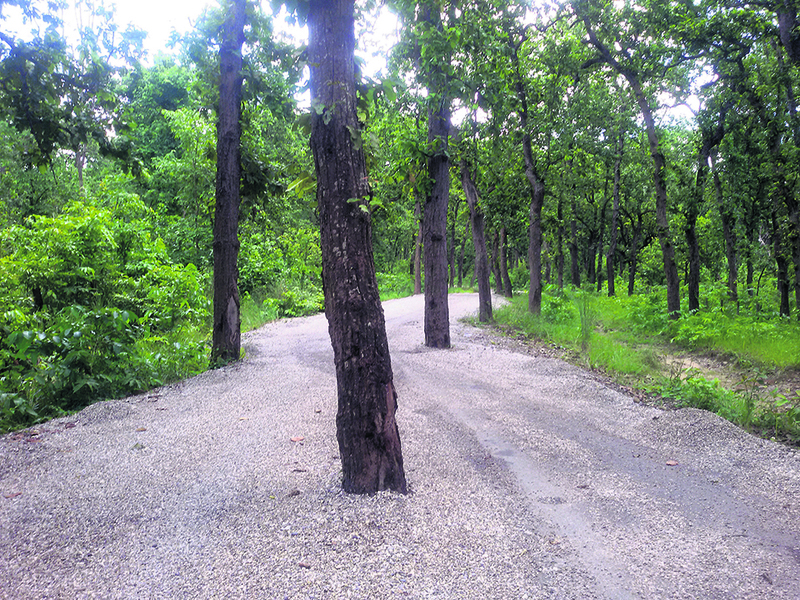 Kishor Thakurathi, a representative of the contractor, claimed that the road and the forest department were repeatedly urged to remove the trees. However, he said, that both departments had turned deaf ear to their requests. "The road department had informed us that it sent a letter to the forest department for removing the trees. However, they claimed that the latter did not respond. As contractor it was not possible for us to remove the trees, as that would be against existing laws," he said. Since the deadline of the project was nearing, the company was forced to blacktop the road, Thakurathi asserted. He further added that Binod Mauwar, the then chief of the road division, had given a go ahead to them. "Whatever is the state of the trees, carry on with the blacktopping," Thakurathi quoted Mauwar as saying. "So, we have worked as per the directives of the authorities concerned," he asserted. The tender for blacktopping the road is found to have approved without even doing initial environment assessment. According to a source working at the road department, who did not wish to be named, the project was implemented to just use up the budget. "According to existing regulations, it is mandatory to carry out a environmental impact study before approving a project. But the road project was approved without complying with the regulations. It is evident that it was done to use up the budget," the source said.